With a character in terminator armour to lead my army, the next choice had to be a terminator command squad. 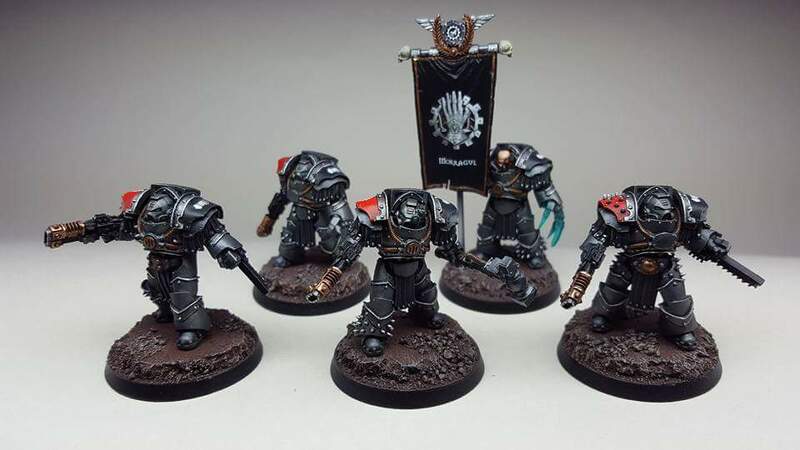 Space Marine command squads are quite iconic, the Chosen of the Legion, tasked with guarding the Legions commanders and bearing revered relics of the Legion. 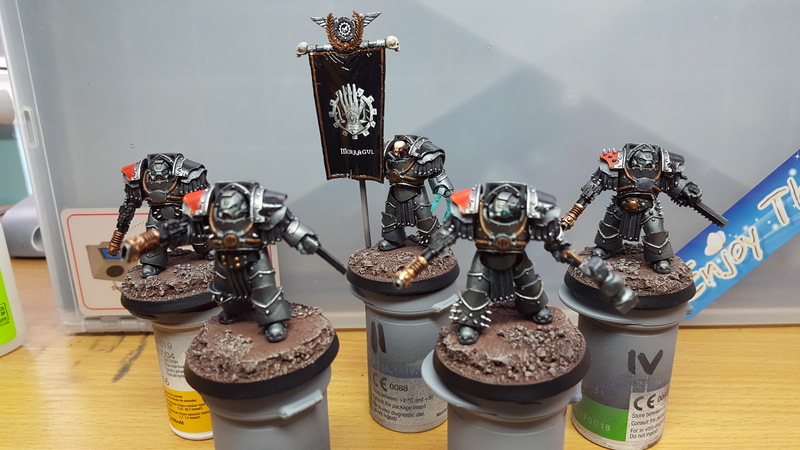 I chose Sons of Horus Justaerin Terminators as the base for these models as they look so brutal with the added spikes on the armour, and also the larger opening for the head allowed me much greater choice when converting. 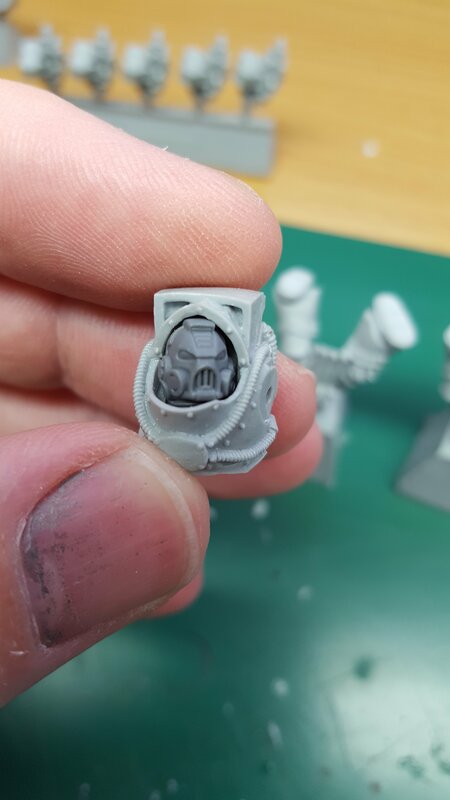 A quick look through my bits boxes unearthed 4 heads from the 40k Centurion box set. With a little trimming of the cables on the side of the heads, these fitted perfectly, and gave a distinctive look to them. 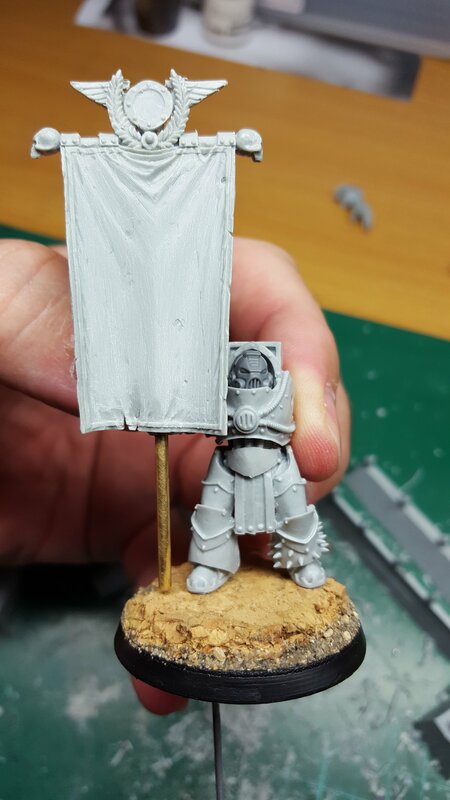 The standard was made from brass rod for strength, and the banner was from the Forge World Red Scorpions Severin Loth set, the detail carefully removed and smoothed down. With the Command Squad being made up of Chosen, the greatest warriors from the Legion, I gave them a mix of weapons to help reinforce their individuality. Previous Previous post: Iron Hands Iron Father. Next Next post: Iron Hands Leviathan.